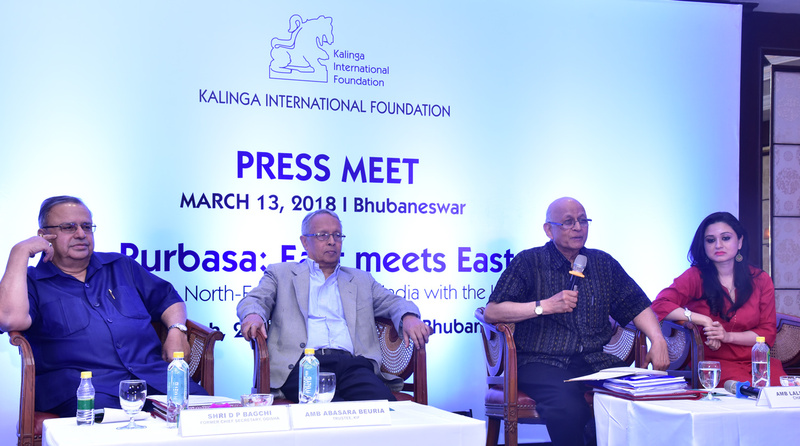 Bhubaneswar, 13th March 2018: Following the successful organisation of its inaugural Conference on India-ASEAN [email protected] in December 2017, in New Delhi, the Kalinga International Foundation (KIF) is organising its second major international conference in eastern India’s historic city of Bhubaneswar from 16-18, March 2018, announced by Chairman, Kalinga International Foundation Amb. Lalit Mansingh. The venue of the conference is Hotel Mayfair Lagoon, Bhubaneswar. Among others, Former Chief Secretary of Odisha Shri D P Bagchi, Amd. Abasara Beuria, Trustee, KIF and Ms. Shreerupa Mitra, Trustee, KIF were also present in this press conference. The Theme of the Bhubaneswar Conferenceis Purbasa: East meets East: Synergising the North-East and Eastern India with the Indo-Pacific.This conference brings together, for the first time, the eastern and northeastern region of India with their proximate neighbours- Bangladesh, Bhutan, Nepal, Sri Lanka and beyond, with the ASEAN nations and the wider Indo-Pacific region. The states located in India’s north-east – Arunachal Pradesh, Assam, Manipur, Meghalaya, Mizoram, Nagaland, Sikkim and Tripura and in the east- Bihar, Mizoram, Nagaland, Sikkim and Tripura and in the east- Bihar, Chhattisgarh, Jharkhand, Odisha and West Bengal and Andaman and Nicobar in the south-east, have strong common ties of history, culture, language and customs and traditions from early times. Both have a rich heritage of links with Southeast Asia and East Asia — one via the land route and the other through the maritime link. 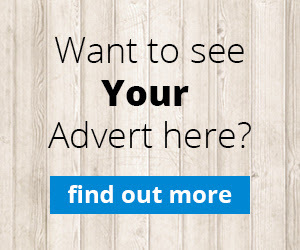 Sailors, merchants, scholars and artisans from this region travelled overseas and established linkages with the people of South East Asia dating back to the 4th Century BCE. The pioneers were the Sadhavas, the sailor-merchants of Kalinga, a powerful empire straddling the eastern sea coast of India. It would be worthwhile to study the role played by economic ties in the development of cultural relations.The Sadhavas acted as messengers of peace and couriers of culture between eastern India and the Indo-Pacific region. Kalinga has, therefore, been used as a metaphor for the historic ties that bind this wider region together. The Conference will feature an Inaugural Panel with Welcome Remarks by Chairman KIF Amb Lalit Mansingh; Address by Hon Union Ministers and Hon Chief Ministers of the North-East and Eastern region. The Kalinga Saraswati Samman will be conferred on to noted scholars on this occasion: Prof V Suryanarayan for his book on Indonesia; and to Mr Sudip Sen for his book on Bali. Shri (Ms) Aruna Mohanty, Director, Orissa Dance Academy. Security in the Indo-Pacific; Maritime Connectivity & Security in the Indo-Pacific;Energy Co-operation; Connecting Women, Youth and Civil Society, Regional Connectivity; Bilaterals: India’s Most Favoured Nations; Tourism, Culture, Buddhism; and a final, Summation & Looking Forward session. These themes have their origin in the new charter of East-East cooperation mandated by the Indo-ASEAN Commemorative Summit held in New on 25 January 2018. Indians from the academia, diplomats, defence personnel, artists and others making presentations at the conference include: Dr Rajat Nag; Amb VS Seshadri; Dr Prabir De; Amb Anil Wadhwa;Adm RK Dhowan, former Chief of Naval Staff of the Indian Navy; Gen PK Singh, United Service Institution of India; Dr Dhruv Jaishankar, Brookings Institution; and Prof. Harsh V Pant, Observer Research Foundation (ORF); Prabhat Singh, CMD, Petronet LNG Ltd; Amb (Ms) Neelam Deo, Director Gateway House; Amb Rajiv Bhatia; Prof.SD Muni, Prof Baladas Ghoshal, Gen. Arvinder Lamba, former Vice Chief of Army Staff, Prof. Benudhar Patra, Ms Lopamudra Maitra Bajpai, Mr P Upendro Sharma, Prof. Shankari Sundararaman, JNU and Dr Udai Bhanu Singh, IDSA. Foreign dignitaries delivering the Keynote Address include: Hon Gamini Jayawicrama Perera, Minister of Buddha Sasana, Sri Lanka; and Hon AKM Shahjahan Kamal, Minister of Civil Aviation and Tourism, Bangladesh. In addition, Prof Ajarn Sulak Sivarakasha, Thailand will give the Special Address in Session 8. Among the other foreign dignitaries who will be addressing the Conference are: Dr Rizal Abdul Kadir, Deputy Director, Maritime Institute of Malaysia (MIMA); Amb Palitha Kohona, Sri Lanka; U Khin Maung, Myanmar; and Dr Rajan Bhattarai, Nepal; Adm Jayanth Colombage Former Chief of Navy (Sri Lanka); Dr Suthiphand Chirathivat (Thailand); Prof (Ms) Aruna Gopinath (Malaysia); Dr Naing Swe Oo (Myanmar); Ms Siti Kkaprawi (Brunei); Mr Harsha Navaratne (Sri Lanka); Mr Prida Tiasuwan (Thailand); Dr Enrico Basilio (Philippines); and Dr Swarnim Wagle (Nepal); Ven Prof K Mahinda Sangarakkhitha Thera (Sri Lanka) and Mr Somboon Chungprampree (Thailand). A major highlight of the conference would be the Session on Bilaterals with speeches by Ambassadors respectively of Vietnam, Sri Lanka, Bangladesh, Indonesia, Thailand, The Philippines and Myanmar; the Dy High Commissioner of Australia and Minister Economic of the Embassy of Japan. On the Indian side, Amb Pinak Chakravarty Prof V Suryanarayan and Amb Deepa G Wadhwa would respond to their remarks. From Odisha’s powerful Kalinga Empire to the Act East policy today, India’s vision has continually expanded. It now extends beyond ASEAN to the larger Indo-Pacific region, which consolidates the Indian Ocean Region and the Western Pacific Region into a singular regional construct. It provides a new significance to Odisha’s annual festival of Balijatra or Voyage to Bali. The KIF offers the Indian and foreign delegates a unique opportunity to see at first hand some of Odisha’s cultural heritage by organising a Cultural Heritage tour after the conference.